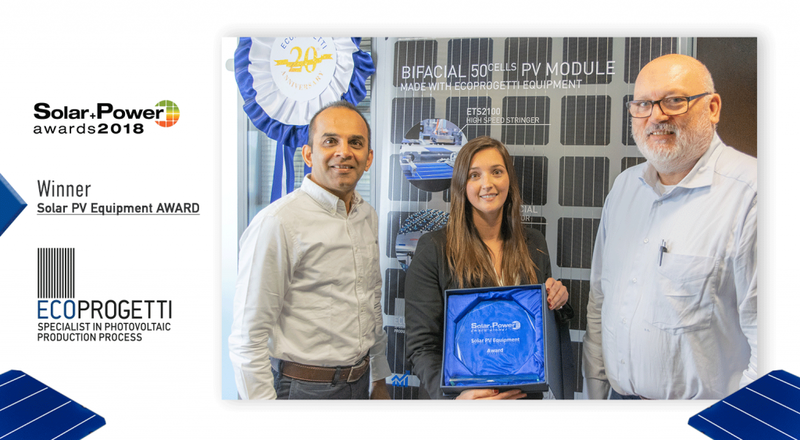 Laura Sartore, Managing Director at Ecoprogetti looks back over the company’s 20 years in the PV industry, and the leaps forward in manufacturing technology that have contributed to solar’s worldwide growth. 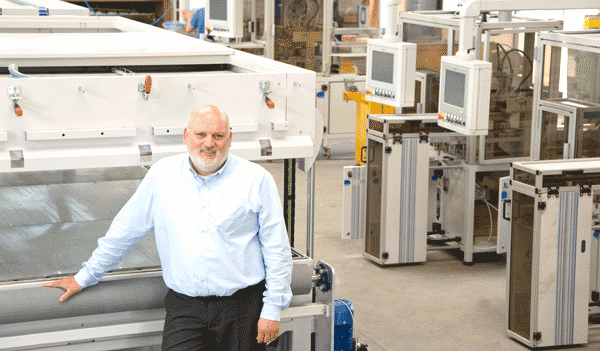 Our story begins at the day Mr. Domenico Sartore, Founder of Ecoprogetti, realized there was a necessity to change from being a PV module manufacturer, to drive the evolution of the industry by moving into production of machines and automations. This was at a time when the solar PV markets in Europe were gaining momentum and production processes needed to transform from completely manual, to a more automated production of the various steps in the value chain, from polysilicon, ingots and wafers to cells and eventually modules. Back then, in 1998, the market for production machines was still a small niche. 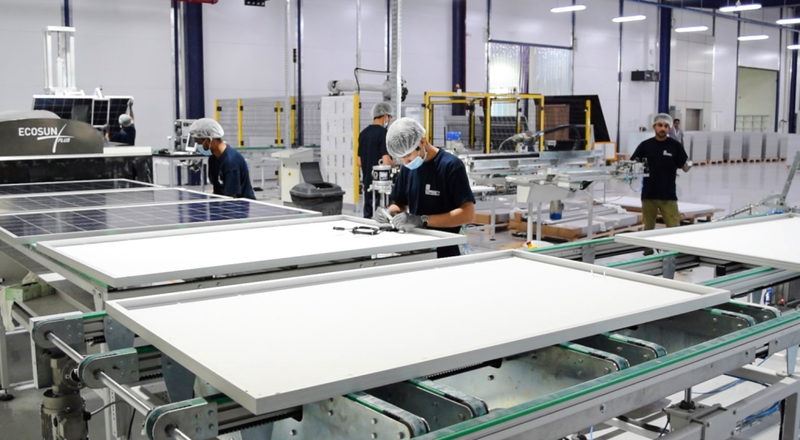 Initially, the Italian company Ecoprogetti was designing and producing machines for the automatization of the whole PV solar supply chain, focusing primarily on the European market, supplying production equipment to the main European players like in Belgium, Germany, France, Finland, Switzerland and Denmark. With the rapid expansion of the international markets inside and outside Europe the family owned Ecoprogetti took an important strategic decision on how to set the focus for growth and at the same time retain the medium-size character of the company that had made them so successful up until then. 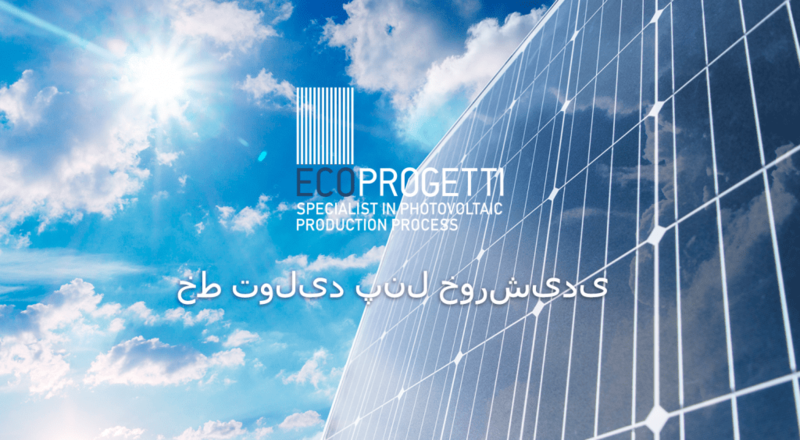 Ecoprogetti from now was specializing in the production of automatization machines and development of construction processes for high quality PV solar modules, a strategic decision that has made Ecoprogetti the most specialized company in this specific sector today. From the viewpoint of a chief of production as well as from an electrical engineer, Mr. Domenico Sartore has experienced the critical need of automation in the production every day. In addition he noticed the necessity of increasing the quality of the final product in fast growing and more mature markets. The founding philosophy of Ecoprogetti was very simple: “We had to remove the problems caused by manual processes from the production. With this mission in mind, we started designing machines, but always having the ideal production process in mind”. Since the very beginning, automatic manufacturing of PV solar panels had to be contextualized. The international production environment was changing. Huge volume production lines were already installed in some markets and in other markets smaller sized lines and more flexible production solutions were needed, always focusing on production efficiency (minutes module/man). Ecoprogetti took its strategic position in this market environment and created unique, complete turnkey solutions of great efficiency even with small sized production lines. 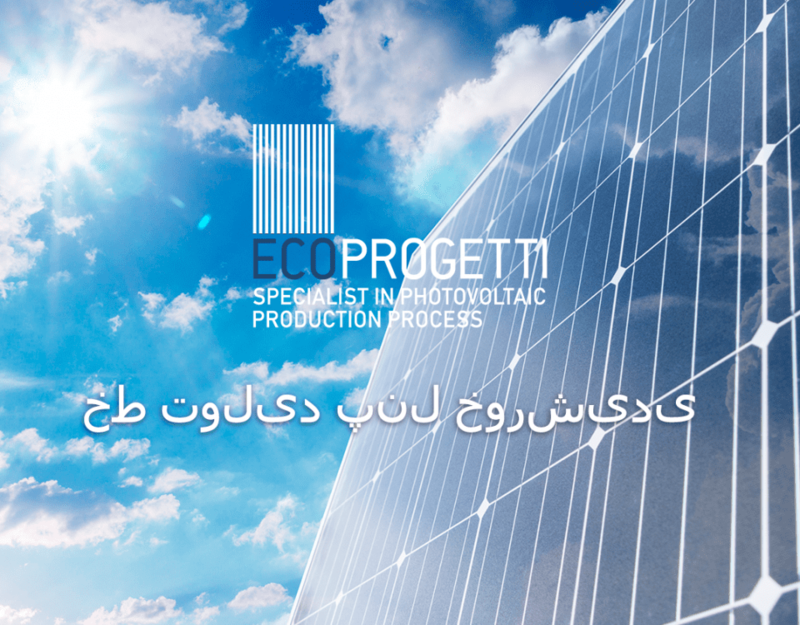 Since then Ecoprogetti has been driving the development of the photovoltaic industry, starting from the old 4” 600µm thickness round cells through the whole evolution of solar products arriving at today’s innovation level to create production solutions for PERC, Bifacial, 12BB wire, glass glass and so on. 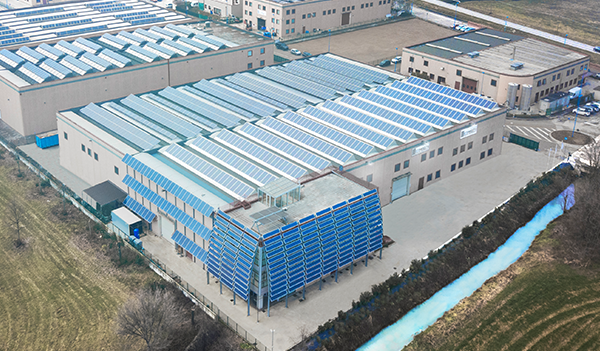 Ecoprogetti continues to drive uncompromised and advanced research, and to always provide the most competitive and efficient turnkey production solutions from 10MW to 1 GW. For the last 10 years, this has considerably elevated Ecoprogetti from their competition. 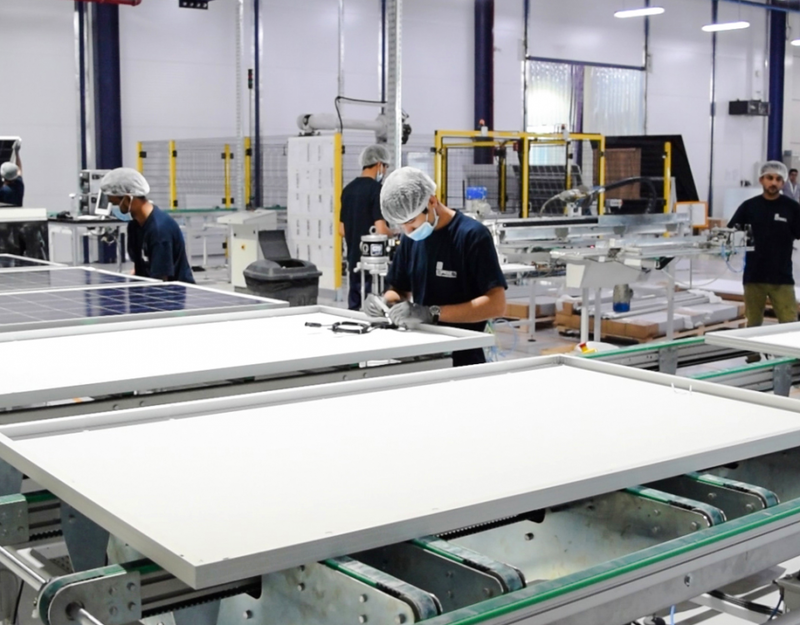 The company’s in depth know-how of production processes, the reliability of their products and services, the availability of customer support 24/7 and the expertise of the whole team, driven by their full commitment towards technological innovation and tailor-made customer solutions has made Ecoprogetti to be one of the leading equipment suppliers for production solutions for PV. 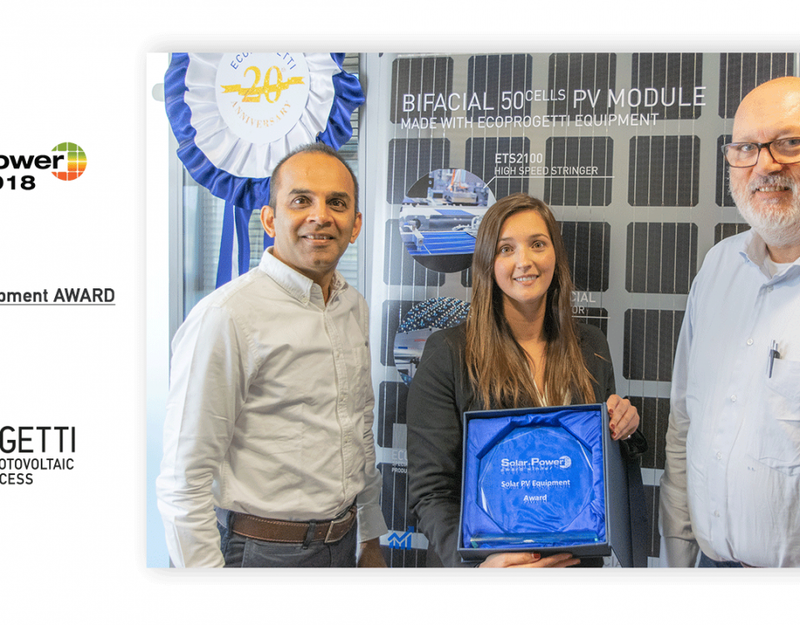 Today, 20 years after the business started and with the solar manufacturing landscape again changing especially in the western photovoltaic markets, Ecoprogetti, with its great team of passionate engineers and dedicated management, remains to be the Number 1 choice for its customers. To address the increasing cost pressure and competitiveness in the market, the Ecoprogetti team continues to focus on offering innovative and flexible production solutions coupled with best customer service – of course at competitive prices. In continuation of the vision and the business ethics of the Founder, Mr Domenico Sartore, today’s CEO of Ecoprogetti, Ms Laura Sartore and her team are shaping the success of the company going forward. In only a short period of time, a remarkable number of new clients in new geographies started their Photovoltaic production business, successfully competing in their markets. Ecoprogetti today is providing not only efficient and reliable production technology at competitive costs, but also ensures that their customers continuously benefit from Ecoprogetti’s ongoing research and development of new innovative solutions, starting from new raw materials to new management systems and process flows. “We make sure, Ecoprogetti customers are always getting the best solution needed for a sustainable and successful operation. Our customer’s success is our success”, says Laura Sartore. However, the solar world keeps on turning and it even continues to turn faster and faster. Permanent technology changes can be challenging, especially in the production equipment industry. Based on its years of experience, Ecoprogetti has found a simple answer to the ongoing challenge of technological change: investing even more in R&D and collaborating with strong partners and research centers. It therefore comes at no surprise that at Ecoprogetti no one is concerned about the challenges ahead. “The next 10 years will be very exiting for the PV sector!” with his over 30 years of experience in the industry, Mr. Domenico Sartore foresees important technological changes in the production of solar modules. “For example crystalline cells won’t be soldered, but glued together to form strings, or the assembly of crystalline panels most likely won’t require frames anymore”. In addition to this Mr. Domenico Sartore anticipates more changes coming in designing and executing big solar park projects. Lots of challenges for the industry, and lots of areas for Ecoprogetti to continue providing innovative solutions. Making solar power technologically and economically the most competitive source of electricity gives us hope that in the near future we will have clean and renewable electricity in each corner of the world, from the biggest cities to the most deserted areas. Ecoprogetti will enable as many industrial players as possible worldwide to produce solar modules and to change their local energy market. Ecoprogetti with PV Magazine has brought many innovating news to the solar industry and together we’ll keep on delivering facts and exciting news that we, as responsible people and consumers of energy, need to know. Read the articole on PV Magazine.